Aaaah! I’ve blogged often about moms-to-be who announce in advance plans to take a limited maternity leave only to quickly realize after giving birth that it’s not that easy to do that. Cardi B, Amal Clooney, Ivanka Trump, and former Yahoo! CEO Marissa Mayer all made bold pronouncements about taking short leaves before changing their minds after baby arrives. And alas, another celeb who learned this lesson is using her experience to inspire other mothers, especially working ones, to do it differently. 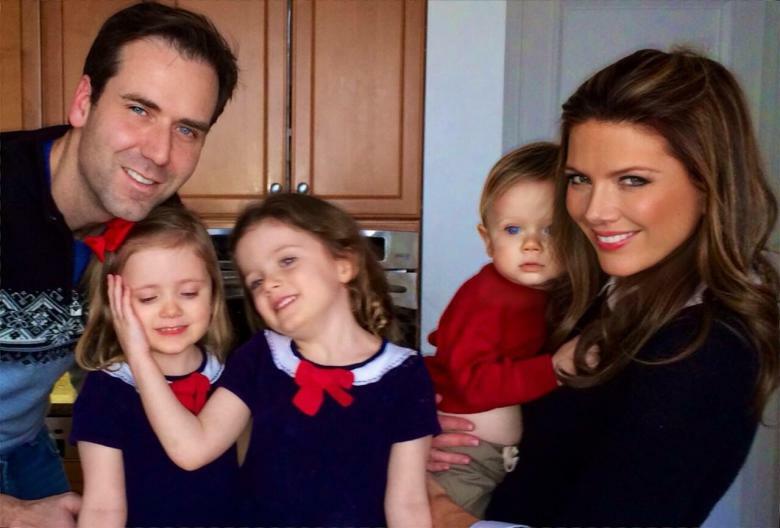 FOX Business Network anchor Trish Regan took just six weeks of maternity leave after giving birth to twin girls Elizabeth and Alexandra, now 8. Then a few years later, she took just three weeks off of work after her second pregnancy with son Jamie, now 5. Whoa! Recently, the 45-year old shared her regret with prioritizing work and employers’ needs over choosing to take extra time to bond with her newborns with PEOPLE. Not everyone has the opportunity, financially or otherwise, to take too much time off, but for those who do, I’m certain that Regan would agree that you should elect as much leave time as possible. We always pause when celebrity new moms like Amal Clooney, Ivanka Trump. former Yahoo! CEO Marissa Mayer when they announce plans to get back to work weeks after delivering, not fully aware of how much of a challenge that could be. 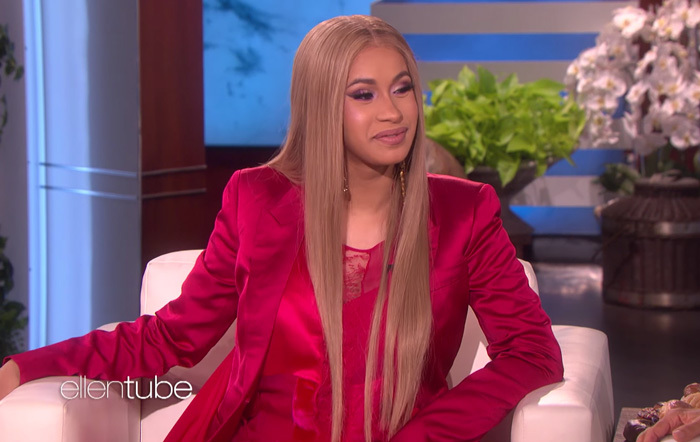 Cardi B is the latest new mama to fall victim to this phenomenon. She had previously stated that despite being set to give birth in July, she still planned to remain on Bruno Mars‘ “24K Magic” and to take her newborn with her. As we could expect, the Bodak Yellow performer announced that she will no longer be joining Bruno’s tour. The Invasion of Privacy album creator only delivered her baby girl Kulture three weeks ago and explained to her fans and followers that she’s not ready to hit the road. Per her pediatrician’s advice, neither is her daughter. “Not only am I just not ready physically, I’m not ready to leave my baby behind since the doctors explained it’s not healthy for her to be on the road,” she wrote. The “I Like It” songstress has not hired a nanny and is not interested in being apart from her baby during her most formative first months. Cardi shares her daughter with husband Offset, who is a member of the trio rap group, The Migos rapper, along with Quavo and Takeoff. He’ll be making the bread and perhaps missing baby’s first moments as he is sticking with plans to join Drake this summer on his North American tour, “Aubrey and the Three Amigos,” which was rescheduled to address production issues. This week, First Daughter Ivanka Trump shared a photo of herself holding her baby Theodore while taking a business call in the White House. The image drew tons of love and praise and jeers and taunts. Some called it an example of feminism and others called it hypocrisy. Politics is a tricky game and these days, they are at a fever pitch. But politics aside, the topic of balancing work and motherhood is an ongoing hot bed issue. Trump and Marissa Mayer both infamously announced plans to take short maternity leaves after having their babies but each soon learned that it is very difficult to have it all, and they reversed course. Fortunately for each of these women, they are the boss and therefore, they have tons of options. Mayer, for example, built a nursery alongside her office so she could have easy access to her infant, whom I believe she was breastfeeding at the time. It was a controversial move because it came around the same time that the ex-CEO of Yahoo! banned telecommuting for her workers. Many women (and men) with children loved that option so they could work and care for their little ones. My mom watches my baby sister’s 10-month old daughter while my sis works and my mom reports the baby not wanting to go to her mom after work. Having a baby nearby for those early years are crucial for bonding and the emotions of having your baby prefer a nanny and caregiver over his own mom could be devastating for any mother. I really did what another Bellyitch Bumpwatch alum, Rachel Zoe, did for the women who works for her. Zoe said in a blog post on her The Zoe Report website that five other women in her company were expecting in 2014. It was a great move by a woman in power who wanted to empower other women too. Zoe opened a nursery in her West Hollywood office that December right next door to her studio. She said she thought all companies ought to consider the same. Bravo! In the course of two years, my eldest son had two different teachers check out after having their babies and my youngest lost two teachers who opted to stay home after having their little ones rather than return. Nearby nurseries could be a great alternative for those who want to continue their craft, passion and work and be near their babies. And for those, like me, who work from home, a nursery office could be a great alternative. Here are the elements of creating a fab home office/nursery. Start with a space-saving crib that isn’t too bulky! You can get one that coordinates with the furniture already in your office or redecorate to have one cohesive theme. Fill the walls with colorful and attractive wall art to lift the mood and keep things vibrant and alive! Finally, accent it with a colorful or ‘in-theme- rug where baby can play while you work. A toy chest to house rattles, stuffed animals and educational toys would be a great added fixture. There hasn’t been a baby in the US. White House for several administrations. Enter 9-month old Baby Theodore James, the youngest child to Ivanka Trump. The almost 1-year old crawled for the first time the weekend of his grandfather’s inauguration as the President of the United States, Ivanka shared. “There were so many incredible milestones this past weekend — including one for baby Theodore who crawled for the very first time in the White House!” Ivanka captioned a photo of the milestone. There were so many incredible milestones this past weekend — including one for baby Theodore who crawled for the very first time in the White House! Theodore was born last March and is the third child to Trump and her husband Jared Kushner. The couple are parents to 5-year old Arabella Rose and 3 year old Joseph Frederick. This weekend, our Bellyitch Bumpwatch alum Ivanka Trump witnessed her dad Donald J. Trump get sworn in as the 45th President of the United States of America. The business mogul and The Apprentice reality TV show star carried her children Arabella Rose, Theordore James and Joseph Frederick with her to the swearing in ceremony at the US Capitol building this past Friday, January 20, 2017. She was captured leaving the President’s room of the US Senate after her dad formally signed his cabinet nominations into law. She wore a gorgeous white pant suit. That night, she stunned in a jeweled and beaded long sleeve Caroline Herrera gown and took a dance at the Freedom Ball at the Washington Convention Center with her husband Jared Kushner who recently got cleared to serve as a special adviser to the president. What a special moment for her and the family. They all looked great at the Lincoln Memorial the night before the inauguration witnessed a celebratory concert. Remember when we posted about how our Bellyitch Bumpwatch alums Chelsea Clinton and Ivanka Trump were still good friends despite the fact that their respective parents were going against each other head to head for the job of US President? Well, it looks like things may start to get personal. During a Facebook Live event on Tuesday, July 25, Glamour Editor in Chief Cindi Leiv pinned Chelsea down on her friendship with Ivanka and tested it a bit, egging her on to criticize Ivanka’s dad Donald Trump, CBS News reports. Last week, Ivanka gave an amazing speech that trumpeted the importance of women’s rights and options. She didn’t announce that she was a Republican and a lot of Democrats and Independents actually resonated and agreed with Ivanka. Some asked why she wasn’t the one running for President instead of her dad. Watch Ivanka’s powerful and impassioned speech, the best of the convention, in our opinion, here. Actually, couldn’t you see an Ivanka Trump v. Chelsea Clinton run in the future? Mainstream popular media organizations can give shade too, now. Case in point: today NBC published an article about GOP Presidential Nominee Donald J. Trump which attempts to decode the presidential hopeful’s position on pregnancy in the workplace. The piece really backs into, but stops short of saying the man is hostile to pregnant women in business. Note: Trump has never given an official position on this topic but this piece attempts to help the reader decode what that would be based on his past remarks. Finally, Vitali brings up the March 2016 praise the business man had for his own daughter Ivanka Trump after she rushed to appear at a campaign stop with him only 10 days after giving birth to her third child. To cap off the unspoken and indirect prognostication, Vitali quotes Trump saying that women love him but follows up with a quote from its own joint poll with the Wall Street Journal which has 63% of those polled saying that Hillary Clinton would be best at dealing with issues of concern to women, while only 16% of voters felt that way about Trump. Congratulations to business mogul Ivanka Trump and her husband Jared Kushner on the birth of their third child, today. The fashion designer shared a photo of herself in the hospital holding her newest son. In fact, Ivanka and her husband were spotted enjoying brunch in the Big Apple earlier in the day, E!Online reports. The couple are already parents to 2-year old Arabella Rose, 4, and 2-year old Joseph Frederick, 2. Third time mom-to-be Ivanka Trump recently shared a photo of her baby bump on her Instagram account. Trump and her husband Jared Kushner are parents to 2-year old Joseph and 4-year old Arabella. The business mogul also recently shared an endearing photo of herself with the kids in bed. Sweet! And as we reported earlier, the fashion designer is still stumping for her dad and spoke at an event in New Hampshire last weekend. So is 2nd-time mom-to-be Chelsea Clinton who is acting as a surrogate to her mom’s campaign. While businesswoman Ivanka Trump and her husband Jared Kushner await the birth of their third child, the very busy blonde has also had to deal with plenty of hate comments left on her social media posts. Each entry she uploads on Instagram or Twitter has a comment section littered with remarks from detractors of her father, Donald Trump, who is running for president and doing so in a very bombastic style that includes making some pretty unconventional and out-of-this-world controversial statements that have been called xenophobic (calling for banning all members of one religion from entering the country despite the First Amendment Freedom of Religion clause of the Bill of Rights) and racist (calling Mexican immigrants to the US rapists); and raking some actions that serve to scapegoat and demonize the 14 million Black Americans living in the US (like recklessly tweeting a racist graphic created by a Neo-Nazi with made up stats from a non-existing entity which wrongly blames blacks for 97% of the murder of Whites when the actual FBI account has it at 14% and shows that 83% of Whites are killed by other Whites). Clearly, even though she is the Executive Vice President of Development and Acquisition of The Trump Organization, does not mean she would necessarily endorse his statements and thinking. The reality tv Star of The Apprentice has been silent on them altogether. She did appear briefly on Saturday Night Live with him when he hosted despite the objections of Latino protesters. But of course she will support her own father. What’s the deal asking her to speak out against him? That’s not what she’s here for and she is not a politician. Just look at this pretty floating pink flamingo. Sneak peak at Summer collection.